By Linda Nordling, 2 December 2017, Quartz Africa. Antiretrovirals 'the drugs used to keep HIV in check' don't only prevent people from getting AIDS; they also keep virus levels low, making those taking them less likely to pass the infection to others. Press coverage of our KRISP paper Iwuji et al. (Lancet HIV 2017). Since 2015 the World Health Organization has been urging countries to offer ARTs immediately to people who test positive, instead of waiting for their immune systems to deteriorate beyond a set point. In this 'test and treat' scenario, the theory goes, more people will have suppressed viral loads, which means there will be less transmission, ultimately leading to less HIV all round. But in the world's first community-wide study of test and treat, performed in South Africa and published on Dec. 1 in The Lancet HIV, the intervention did not lower infection rates at all. The result of the five-year study is 'disappointing' says Deenan Pillay, director of the Durban-based African Health Research Institute which ran the study together with ANRS, a French research institute. However, he says, the study offers a crucial insight: That just because treatment is offered, it doesn't necessarily mean that people will take it up that offer. The five-year study visited around 25,000 people at their homes in Hlabisa, a peri-rural area of northern KwaZuluNatal. Participants received free HIV testing. The next step depended on where they lived. In some areas, those who tested HIV positive were told they could go register with the project's nearby clinic to receive treatment immediately. In other areas, those with positive tests were also told to register at the clinic, but they would only be put on treatment if their blood count of disease-busting CD4 cells was below a certain threshold. The researchers expected around 70% of those who were offered immediate treatment to turn up to the clinics within six months of their diagnosis. In the end, only 30% did'same as for the group that was only offered conditional treatment. It could be due to stigma says Pillay. The project's clinics cater only for HIV patients, meaning that queuing up there is tantamount to disclosing your status. His institute is planning another study which would initiate treatment in patients' homes as a way to get around this problem. But there could be other factors at play too. South Africa introduced 'test and treat' nationwide in September 2016, a few months after Pillay's trial ended. But earlier this year Cathy Kalombo, a doctor at a HIV clinic in Cape Town, reported that many of her patients waited to take up treatment despite being offered it immediately. She said people had different reasons for doing so'from 'not feeling sick' to wanting to try traditional medicine as their first point of call. Pillay says it seems like treatment uptake is lower in South Africa than in other African countries. As for why, he can only guess. Perhaps the societies are broken, he says. Hlabisa where the study took place is certainly rife with income disparity and levels of violence remarkable even by South African standards. 'There's no sense of community,' Pillay says. 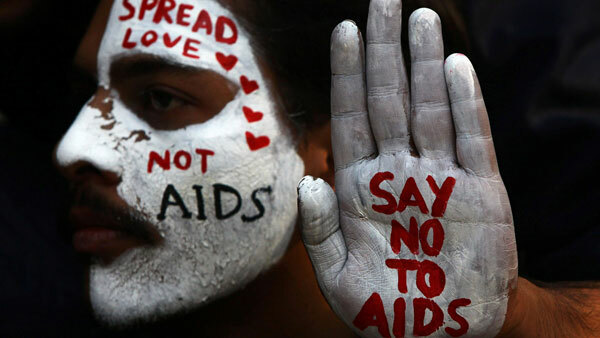 But the study's negative result should not cast doubt on the usefulness of treatment as prevention as a tool for curbing HIV says Salim Abdool Karim, director of the Centre for the Aids Programme of Research in South Africa (Caprisa). 'The linkage to care was very poor [in this trial], much lower than than I have seen in most other test and treat programs. I see this as a need to improve linkage in this setting and not any reason to doubt that test and treat works in preventing HIV,' he says.